Which are the most recommended areas to sleep in Nagoya? The best areas to stay in Nagoya are undoubtedly the most central ones, considering that hotels are really cheap in this city, including even those located in central areas: the neighborhood of Meieki near Nagoya station and Sakae. 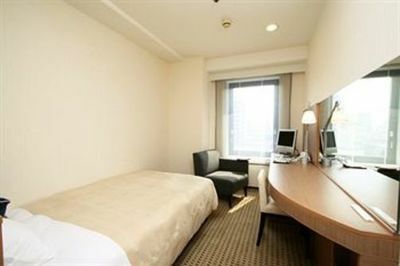 This business hotel is maybe the best as for value for money among the hotels in Sakae, the most central area of Nagoya. It is located a few meters from the Oasis 21 and a metro station. Inaugurated in 2014, the building is new, modern and clean, singles from 6000 yen, double rooms from 7000 yen per night. Rooms are small but modern, comfortable and clean. Inside the building there's also a good Italian restaurant. Double rooms from 8000 yen per night. Big breakfast buffet is 1000 yen extra per person. 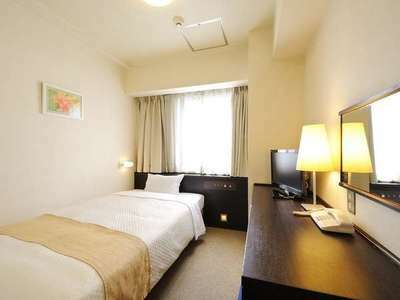 A hotel belonging to the popular chain of Japanese business hotels Sunroute, located a few meters from the east exit of Nagoya station, one of the best mid-range hotels close to the station. Small rooms but very comfortable, modern and clean. Single rooms from 7000 yen per night, double from 11,000 yen per night. Breakfast 1300 yen. This hotel of the world-famous chain of luxury 5-star hotels Hilton is located in a great location about 10 minutes walk from Nagoya station (also served by a free hotel shuttle), and near a metro station (Fushimi). The area of Sakae and the Osu Kannon Shrine are within a short walk. Many rooms have a panoramic view of the city, stunning in the evening. Guests have access to an indoor swimming pool and a tennis court. 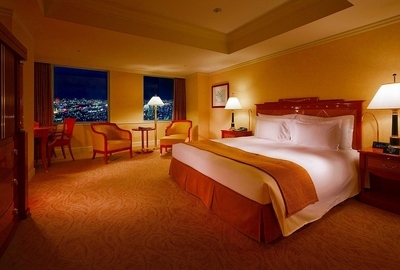 Although it is a 5-star hotel, this hotel can be enjoyed by everyone: sometimes you could find double rooms from 20,000 yen per night, which is not a really cheap price but it isn't expensive neither considering the level of the hotel, a very reasonable price to have an unforgettable night in Nagoya. This luxury hotel of the international chain Marriott is located on the upper floors of one of the two skyscrapers of the JR Central Towers, built right above Nagoya station. 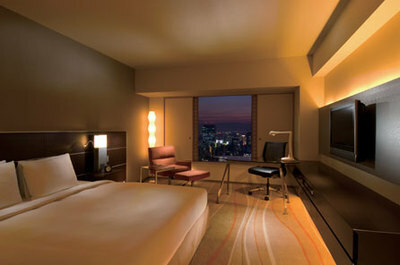 Large comfortable rooms, all with panoramic city views. Guests have access also to a large indoor pool with panoramic views, a sauna, a fitness center and 8 bars and restaurants. It is maybe the the best hotel in the entire city of Nagoya, of course rates are not affordable to anyone for several days but I think that at least one night can be booked by almost everyone who wants to spend an unforgettable night in Nagoya: single occupancy rooms from 20,000 yen per night, double from 25,000 yen per night. This hotel is currently the only capsule hotel of all of Nagoya which can be booked online through foreign hotel-booking websites. It is located a few meters from Kanayama station, an area full of shops and restaurants, reachable in less than 5 minutes from Nagoya station and Sakae by train and subway. The hotel is not very popular with foreigners and the staff is not very accustomed to dealing with tourists. Low price, 2980 yen per night. This hostel is located in a perfect location, in the area of Sakae, the most central area of Nagoya, a few meters from the Oasis 21 and a metro station. 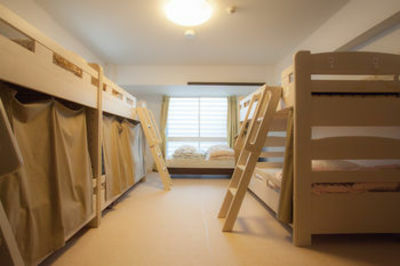 It offers both shared dorms (2800 yen per night), with an area dedicated to women, and private rooms with two beds and a shared bathroom (5800 yen per night). All rates include a simple breakfast with hot drinks, toasts and croissants. One of the best low cost accommodations in the city, very close to Nagoya station. 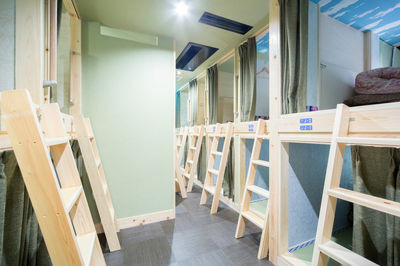 This is not a western-style hostel, beds are positioned on a tatami floor and are separated from each other as in capsule hotels. Within each capsule there is a safe, a reading lamp, electrical outlets. You can also remove the dividers between a bed and the other and then sleep next to each other if you are a couple or a small group of friends. Lastly, coffee, tea and apple juice are available free of charge at any time of the day to all guests. Prices from 2000 yen per night.